Discussion in 'iPhone and iPad Games' started by FunFetched, Nov 26, 2014. I'm on the road, so I could not make a proper thread. Has anyone played this game I've never even heard of it apparently it's brand-new. Nice find Rich! Looks pretty cool. I'll probably pick it up when I get home. Nice find Rich! I'll check it out and try to leave a little something later. 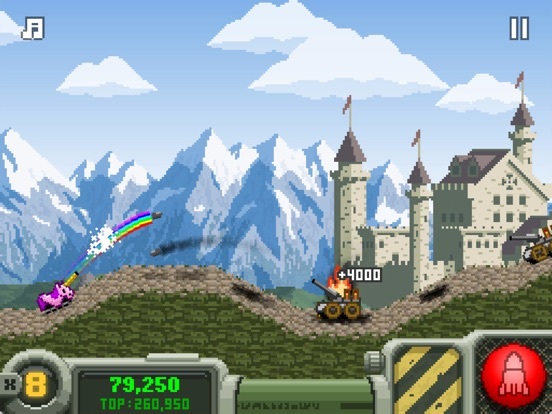 Yep, I'm going to pick it up too,it looks pretty fun, and there are no in app purchases so that's pretty cool. Sorry for the double post. Just a note two of the three reviews on the US appstore say it crashes. I'm still going to buy it, just wanted to give a heads up. Thanks. I'll still get anyway. Hopefully I don't have any probs. 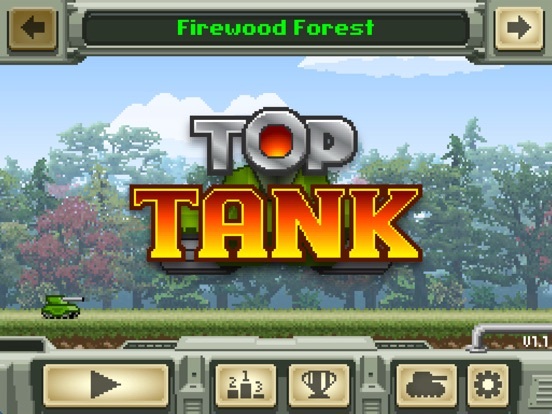 Ok, so upon loading Top Tank the first time it did crash, however, I simply reopened the app and it plays every time. This is a fun game. Well worth my dollar for admission. 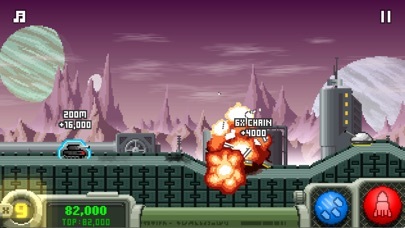 The one touch control works flawlessly and the gameplay mechanics are pretty fun. 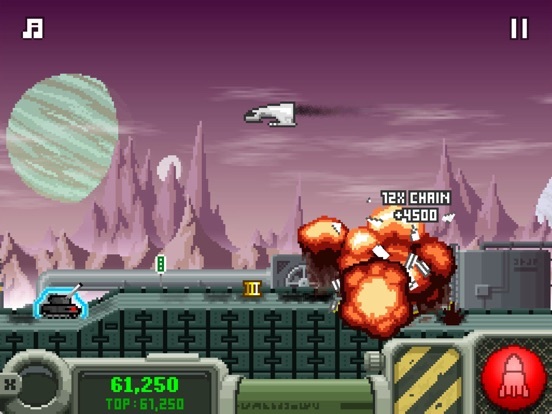 This isn't probably a game you'll play for hours on end (maybe you will? ), it is just a quick little high-scorer. Thanks for the feedback. I was hoping it would have some kind of upgrade system or new tanks and missions. I'm not a big high score chaser, but I picked it up anyway. Downloading now. Hi, everyone. I'm Josh Langley, founder of Fun Fetched. Just wanted to say thanks for checking out the game, and also wanted to address the crashing issue a few are experiencing, as there is a quick work-around until the update hits the store. It's Game Center related, so if you run the game in Airplane mode, log out of Game Center, or otherwise disable the game's ability to access it, it'll run every time. Update 1.0.1 addresses this issue and will be available as soon as it passes review! This game is hugely fun! 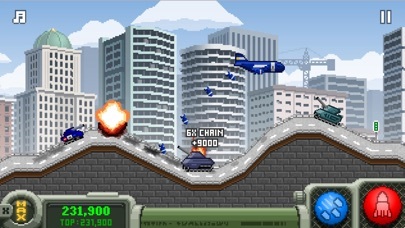 It's easily become my favorite retro-style tank game. 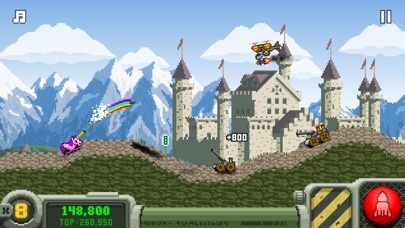 Great graphics and physics (very important in a tank shooting game) and really nice level design. I played it for like 2 hours straight last night. I hope you keep adding levels and power-ups, etc. Thanks for making an awesome game! Got this and for 0.69p and it's just great value. Having a blast with it. Takes a lot of skill to keep your multiplier going. I picked it up thinking it was "Pocket Tanks" type game. It obviously isn't but it's a blast to play. Having lots and lots of fun with this. The presentation is really cute, the controls are spot-on and I really like the well-balanced challenge. All of this for a buck? A no-brainer! It's a bit difficult to find in the App Store, though. 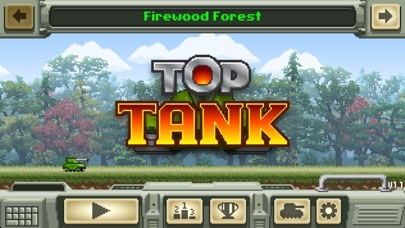 When searching for "Top Tank" a big list of other tank games comes up first before this one. Apparently this needs some some word optimizing. Anyway: Great game, great fun! 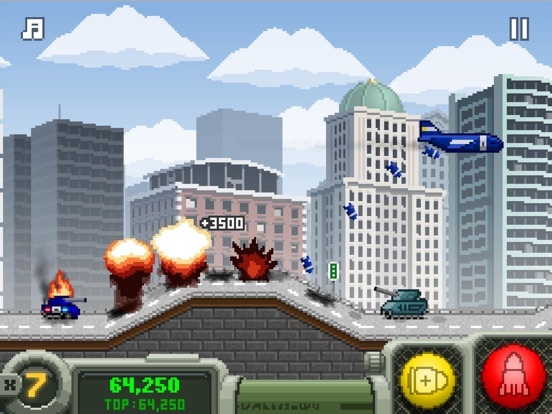 Great little game! A simple concept executed beautifully! 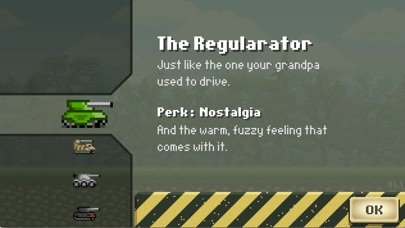 I just unlocked all locations and my favorites are the forest and the sweatlands, lovely pixel art! I downloaded this awhile back and forgot to try it out. Played some this afternoon and it's actually pretty fun! 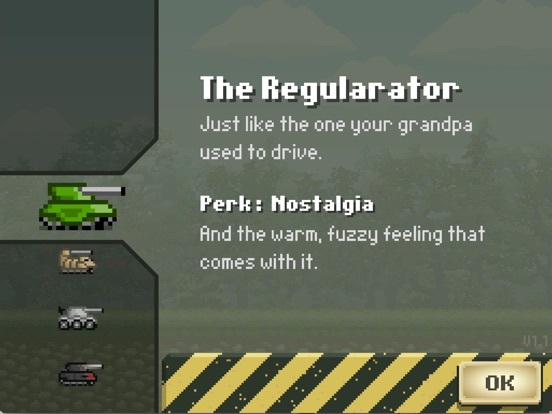 It would be nice to have unlockables tanks, but you can't have it all I guess. It's free right now for anybody who was on the fence about it. It's well worth the download. I paid. It's actually a fun and challenging game. The one touch control works perfectly. This is a completely stupid and ridiculously fun game. I'm hopefully addicted to it.